"O samym świcie adjutant od służby Ku(ź)niewski dał nam znać, że nieprzyjaciel w szyku wojennym postępuje naprzód. Szczupłe wojsko nasze do przyjęcia go wkrótce było gotowem. W minutę jużeśmy byli na koniach. Naczelnik postrzegłszy w tyle wioskę, by jej nie opanowali Moskale, kazał ją zapalić." 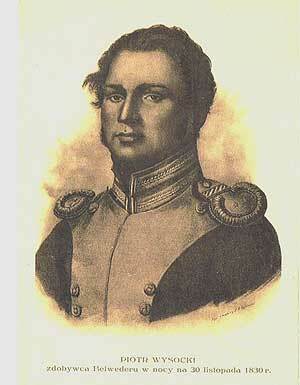 "Around daybreak, Adjutant of Service Kuźniewski let us know that the enemy was progressing in war formation. The troops were mature to accept it, and they would soon be ready. In a minute we were already on horseback. 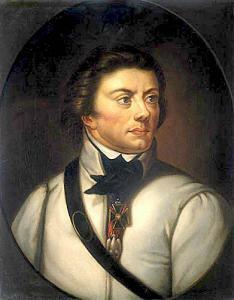 The lookout was hidden behind the village, so as not to be captured by the Russians, and gave the signal to fire." 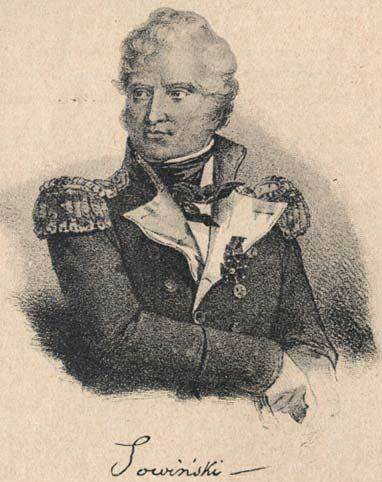 Niemcewicz, Kościuszko, and Kuźniewski were captured by the Russians at the Battle of Maciejowice (1794) and imprisoned in the Peter and Paul Fortress at St. Petersburg for two years. Niemcewicz was the first Polish writer to know English literature thoroughly, and he translated works of such authors as John Dryden, John Milton, Alexander Pope, and Samuel Johnson during his imprisonment from 1794 to 1796. Upon the death of Tsaritsa Catherine the Great in 1796, Niemcewicz, Kościuszko, and Kuźniewski were released by Tsar Paul I. Upon his release, Niemcewicz traveled to England and then with Kościuszko to the United States, where he met George Washington, Thomas Jefferson, and other American political leaders. 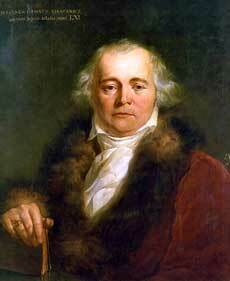 He married in the United States and remained there until 1807, when he returned to Poland. Thomas Jefferson corresponded with Niemcewicz afterward (Kościuszko was a close friend and admirer of Thomas Jefferson, with whom he shared Enlightenment ideals of human rights). It is not known what happened to Adjutant Aide-de-Camp Kuźniewski after his release. 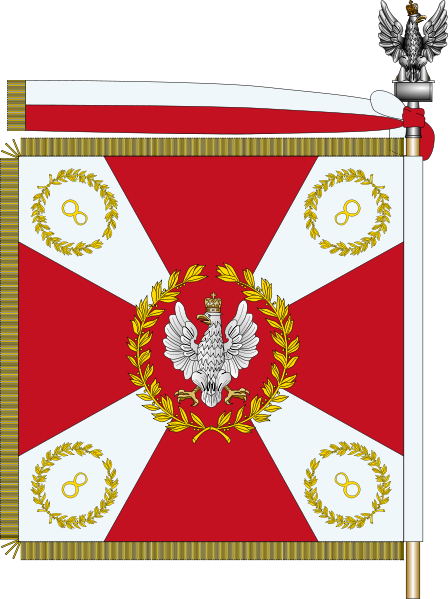 The Polish order of the Virtuti Militari was established 200 years ago by King Stanislaw August Poniatowski as the highest military decoration for gallantry the Polish nation bestows upon it's soldiers for acts of heroism above and beyond the call of duty. It is equivalent to the American Medal of Honor or the British Victoria Cross. 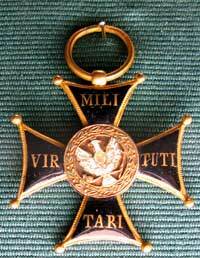 It is documented that two members of the Kuźniewski family were awarded the "Virtuti Militari" medallion. 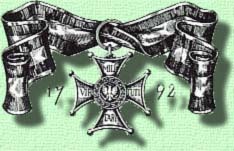 Kasper and Szymon Kuźniewski received the Silver Polish Order of the Virtuti Militari on August 19th, 1831 during the November Uprising that year. The November Uprising (1830–31) was an armed rebellion in the heartland of partitioned Poland against the Russian Empire which began on November 29th of 1830 in Warsaw when the Polish officers from the local Army of Congress Poland's military academy revolted, led by lieutenant Piotr Wysocki. They were soon joined by large segments of Polish society, and the insurrection spread to the territories of Lithuania, Western Belarus, and the right-bank of the Ukraine. Kasper and Szymon Kuźniewski were both in the 8th Infantry Regiment and fought under General Jozef Sowinski (see below). The Encyclopedia of the Polish Nobility (Polska Encyklopedja Szlachecka) records these recognitions. "For acts of outstanding bravery and risk of life on the field of battle"
President Wilson's proposal for an independent Poland did not definitively set borders for Poland that could be universally accepted. Most of Poland partitioned to Prussia in the late 18th century was still part of Germany at the close of World War I, with the rest of the subsequent post-World War I Polish being part of Russia and Austria-Hungary. The portion which was part of Germany included the Provinz Posen, or territory of Greater Poland, of which Poznań (Posen) was a major industrial city. The majority of the population was Polish (60%) and was uncertain whether they would be repatriated with the proposed new Polish nation. Soldiers and workers assembling to elect a council in Poznan on November 10th of 1918. In the autumn of 1918. Poles with hopes for a sovereign Poland began serious preparations for an uprising after the Kaiser Wilhelm's abdication on November 9th of 1918, which marked the end of the German monarchy. The uprising broke out on 27 December 1918 in Poznań, after a patriotic speech by Ignacy Paderewski, a famous Polish pianist. Losses of the Polish Army data obtained from the publication "List of Polish Army statement" issued by the Office of Military History in 1934 Lastname Firstname Rank Squad Zgon Date Place. 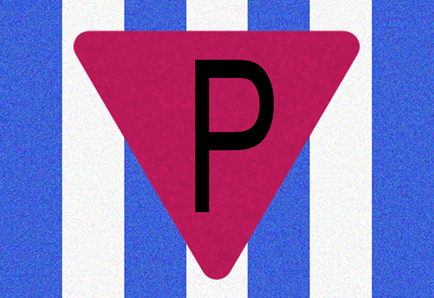 Auschwitz I patch with the letter "P": required wear for Polish inmates. In 1983, French scholar George Wellers was one of the first to use German data on deportations to estimate the number killed at Auschwitz, arriving at 1.613 million dead, including 146,000 Catholic Poles. (attempt to determine the number of dead at the Auschwitz camp), Le Monde Juif, Oct-Dec 1983, pp. 127-159. Transcripts for Jozef Kuźniewski of Milewo, a Catholic, killed at Dachau Concentration Camp on May 25, 1940, 35 days after arrival at the camp. Based on the materials and information gathered by the arrests of members of the Labor Party, in particular the members list found during the search, 300 people were arrested, among them a prominent activist of the Party of Francis Kwiecinski and former MP Stanisław Ratajczyk. Disposition: 25 May 1940 n. M.
Jozef Kuzniewski. 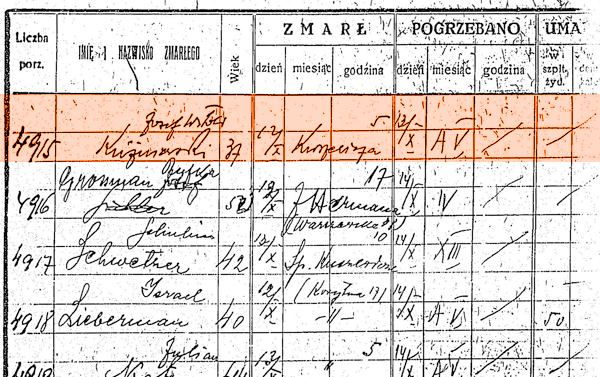 During the war he was in Lwow, Poland.This information is based on a List of persecuted persons found in Lists of Jews buried in the Jewish cemetery in Lwow, 1941-1942. There are 6,706 Polish men and women recognized as Righteous by the State of Israel. The citizens of Poland have the world's highest count of individuals who have been recognized by Yad Vashem as Righteous Among the Nations for saving Jews from extermination during the Holocaust in World War II. 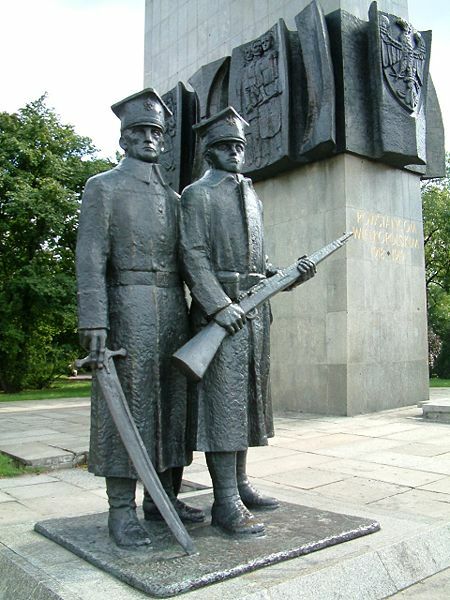 There are 6,706 Polish men and women recognized as Righteous to this day. It is estimated that hundreds of thousands of Poles concealed and aided hundreds of thousands of their Polish-Jewish neighbors. 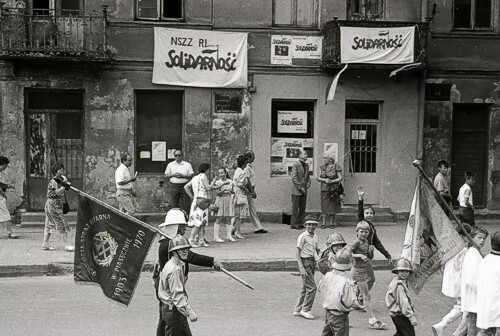 Many of these initiatives were carried out by individuals, but there also existed organized networks of Polish resistance which were dedicated to aiding Jews – most notably, the Żegota organization. In German-occupied Poland the task of rescuing Jews was especially difficult and dangerous. All household members were punished by death if a Jew was found concealed in their home or on their property. It is estimated that the number of Poles who were killed by the Nazis for aiding Jews was as high as tens of thousands, 704 of whom were posthumously honored with medals. Lukas, Richard C. "The Polish Experience during the Holocaust" in Michael Berenbaum, ed. A Mosaic of Victims: Non-Jews Persecuted and Murdered by the Nazis (New York : New York University Press, 1990): 88-95. p. 90 -- "During almost six years of war, Poland lost 6,028,000 of its citizens, or 22 percent of its total population, the highest relation of losses to population of any country in Europe. 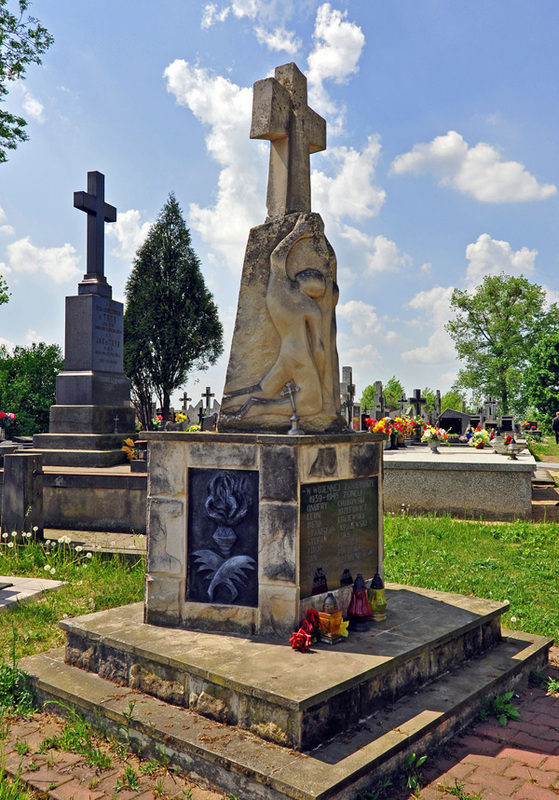 Over 50 percent of these victims were Polish Christians, victims of prisons, death camps, raids, executions, epidemics, starvation, excessive work and ill treatment." p. 94-5 (footnote 8 to accompany the above) -- Roman Nurowski, 1939-1945: War Losses in Poland (Poznan, 1960), pp. 44ff. There is no agreement concerning the exact number of Polish Christians who perished at the hands of the Nazis. Informed estimates place the loss in the range of 2.8 to 3.1 million people. The death certificates themselves, were official German documents, issued by Auschwitz camp doctors, upon the death of an inmate. Each death certificate consists of the deceased persons full name, profession and religion, date and place of birth, pre-Auschwitz residence, parents names, time of death, cause of death and a camp physicians signature. In 1989, the Soviets released much of the German documentation, death certificates, roll-calls, cremation lists, etc, that they had found at Auschwitz, in January 1945. The Germans had simply left this documentation when they evacuated. The Soviets, came across it and conveniently "lost it" in their archives for some 45 years. In 1989, Gorbachev presented it to the Red Cross who then "lost it" in archives in Arolsen, Germany. The death certificates themselves, were official German documents, issued by Auschwitz camp doctors, upon the death of an inmate. Each death certificate consists of the deceased person's full name, profession and religion, date and place of birth, pre-Auschwitz residence, parents' names, time of death, cause of death and a camp physician's signature. The death certificates are mainly from the years, 1942 and 1943. There is a little documentation from the year 1941, none from the year 1944, nor from January 1945 (when Auschwitz was evacuated). The death certificates record the names of 68,864 individuals, who died at Auschwitz (Birkenau), of whom about 30,000 were listed as Jews. (http://houston.indymedia.org). It is important to remember that the following is the only Kuźniewski recorded with a death certificate from Auschwitz. Many records were destroyed by the Nazi's at the end of the war. In addition, there may have been Kuźniewski's that survived the death camps. did not stop organizing and leading a strike in Plant CRT Unitra-Polkolor in Piaseczno."